Anyone who has ever searched for an apartment or home knows that pictures are key when looking for a new residence. While the space may be everything you desire, a walk through may not be ideal without first seeing a few pictures online. Photos, however, are not the only thing that buyers consider when searching for the right home. 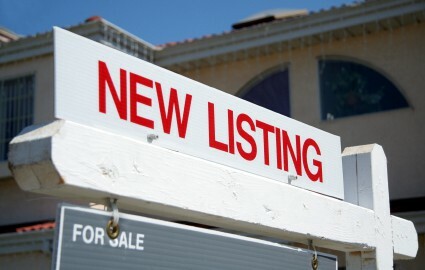 A new study conducted by Zillow.com reveals that wording is also a vital part of a real estate listing. Buyers who participated in the study were willing to pay nearly 10 percent more for homes that had the word “luxurious” in their descriptions. According to consumers, such terminology signified the seller’s willingness to go above and beyond the call of duty in terms of amenities. A “remodeled kitchen” was one of average appearance, while a “luxuriously renovated kitchen” was a food lover’s delight. Participants, therefore, expressed willingness to pay more for homes carrying the latter description. Another term that attracted buyers was “landscaping.” Whereas “new plants” added little value to a home, such upgrades described as “new landscaping” garnered more attention and money. The word, “landscaping” implied that services from a professional agricultural company were sought, which meant that the seller went the extra mile to make the home appealing. Such willingness to spend extra on the exterior portion of the home meant that the interior was immaculate. The importance of wording in real estate listings can be blamed on humanity’s desire to have the best of everything. Consumers will settle for chasing their waiter down to ask for more water at the local eatery until they realize that there is a restaurant down the street that refills beverages without inquiry. The same is true in home buying. Customers will settle for “nice plants” in a potential home until they see a listing for property that has greenery flown in from New Zealand in its backyard. It is then that they want the house with the better, more exotic plants for no other reason than them being from another country. It is, therefore, important to consider what you are writing in the listing if you want to get the best value for your home for sale. Photos do a marvelous job of giving viewers a snippet of what they are thinking of buying. Well conceptualized words, however, paint the picture for them.